The YumiFM PNG Musik Awards is back again and set for this Saturday the 29th April 2017 at the Lamana Gold Club, from 7pm to 12am. This is the only event recognizing efforts of artists locally and regionally in 2016 for the last thirteen years since 2005. That is according to the Senior YumiFM Radio Personality Turner “Kasty” Arifeae one of the founding members of the awards show. 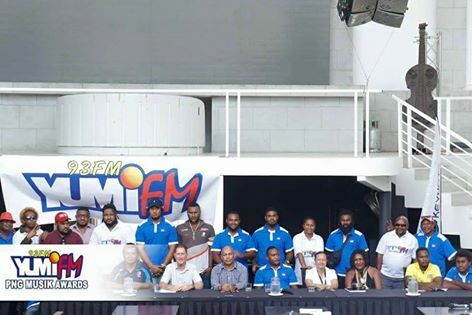 Kasty added that the significant challenge each year is to have more females taking part in the industry and the YumiFM PNG Musik Awards. Kasty further urged artists not to sell themselves short and stop sharing singles via Bluetooth, Whatsapp etc. but to get paid their dues for originality and hard work via registration with APRA and airplay on the 3 stations of PNGFM.